After confusion surfaces about who can upgrade to Windows 10 final build from the Insider Preview build for free, Microsoft releases another clarification. At this point in time, we’re not sure who’s more confused, consumers who are interested in Windows 10 or the people at Microsoft themselves. Microsoft has released the umpteenth excuse masquerading as a ‘clarification’ about why it wants to give out Windows 10 for free but can’t actually say that in so many words. Microsoft’s Head of Operating Systems Group, Gabriel Aul has posted an official blog update clarifying that anyone who wants the final full build of Windows 10 will have to upgrade from a legal registered version of Windows 7 or 8/8.1. Even if you’re currently on Windows 10 Insider/Technical Preview, you will only get the final Windows 10 build if you installed the preview build on a legal copy of Windows 7/8/8.1. However, if you’re okay with perpetually running Windows 10 preview/beta/test builds, you can continue to do so for free even if you don’t install the Insider Preview on a legal copy of Windows 7/8/8.1. In this case, you will never be on a Windows 10 final build and will be automatically updated to the latest test builds when they become available. Aul further clarified that these test builds will expire in time but by the time that happens, there will always be a newer test build that you will be updated to. To sum up, you can either buy a licensed version of Windows to get the final version of Windows 10, or be okay with always running test builds of Windows 10 for free. The latest clarification comes in the wake of an earlier post by Aul where he stated that anyone on Windows 10 Technical/Insider Preview will be updated to the final Windows 10 build on July 29, when it launches. This represented a clear loophole for people currently running unauthorized versions of Windows because they could just install the Insider Preview version of Windows 10 and be assured that they would get the final version of Windows 10 for free. The latest blog post shuts that whole thing down. One has to wonder why Microsoft is putting itself through the wringer like this when it’s obvious that it desperately wants to give Windows 10 for free to everyone. We can only speculate that since Microsoft is a publicly traded company, any announcement regarding making Windows 10 free would put its stock value at great risk since it still makes plenty of money from OS licenses. However, considering that Android has now become the most used consumer OS in the world, Microsoft can only put up a fight if it can ensure massive adoption for Windows 10, something that a free Windows 10 would ensure. This current confusion with respect to whether Windows 10 is actually ‘free’ or not appears to signify that Microsoft is itself confused about how it wants to move ahead. 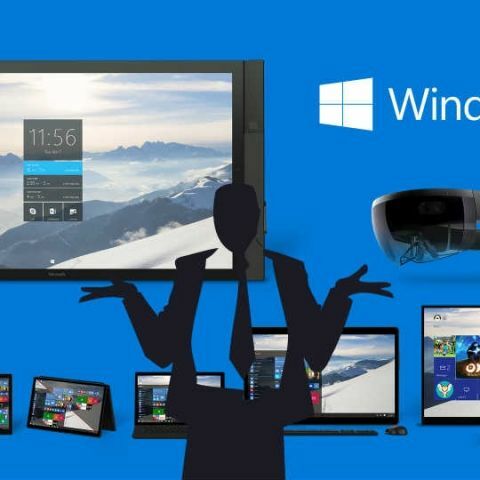 Windows 10 will launch on July 29 (this isn't speculation). my laptop is not campatible for windows 10. can i get it after sometime?